Today's SAB offering is the Everyday Enchantment Designer Series Paper pack! 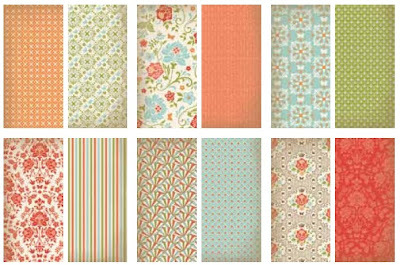 Receive 12 sheets: 2 each of 6 double-sided designs. 12" x 12". Acid and lignin free. Coordinating colours are: Lucky Limeade, Pool Party, Peach Parfait, Calypso Coral, Poppy Parade, Very Vanilla, and Soft Suede.